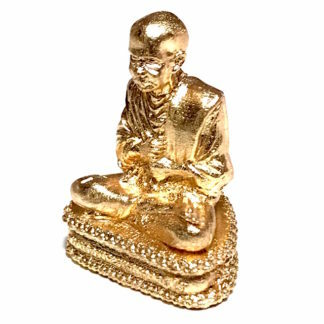 Roop Lor Muean Somdej Pra Puttajarn Toh Prohmrangsi Ruay Ngern Larn Loi Ongk Statuette, in Nuea Tong Tip (Sacred 'Divine Brass'). 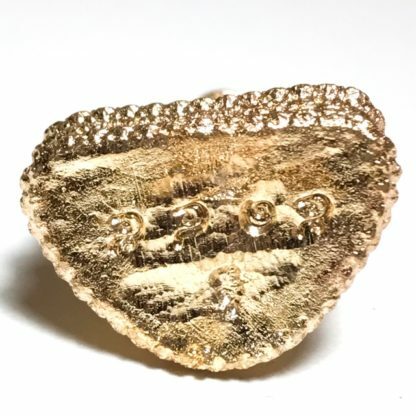 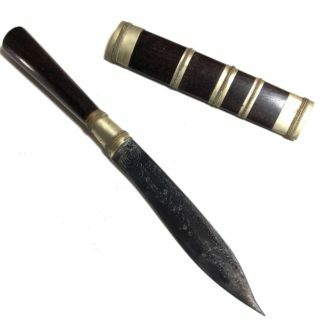 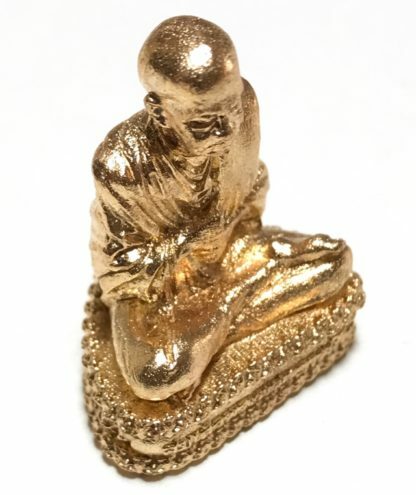 The statuette measures 3 Cm High, 2 Cm wide with 1.5 Cm deep base. 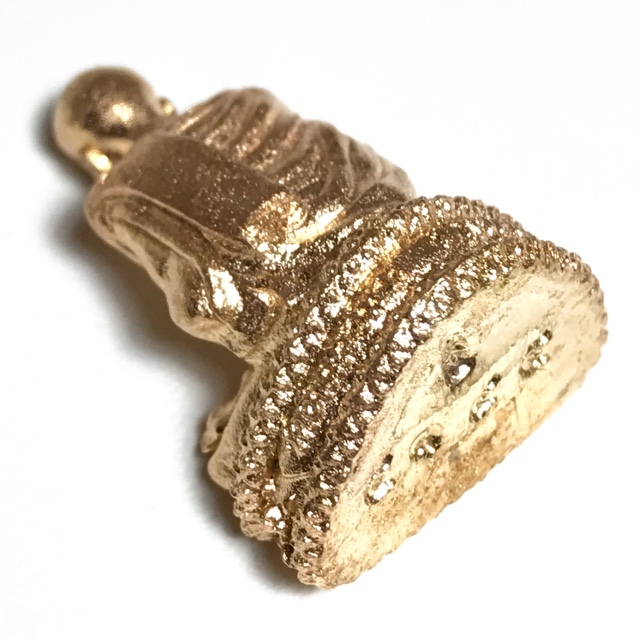 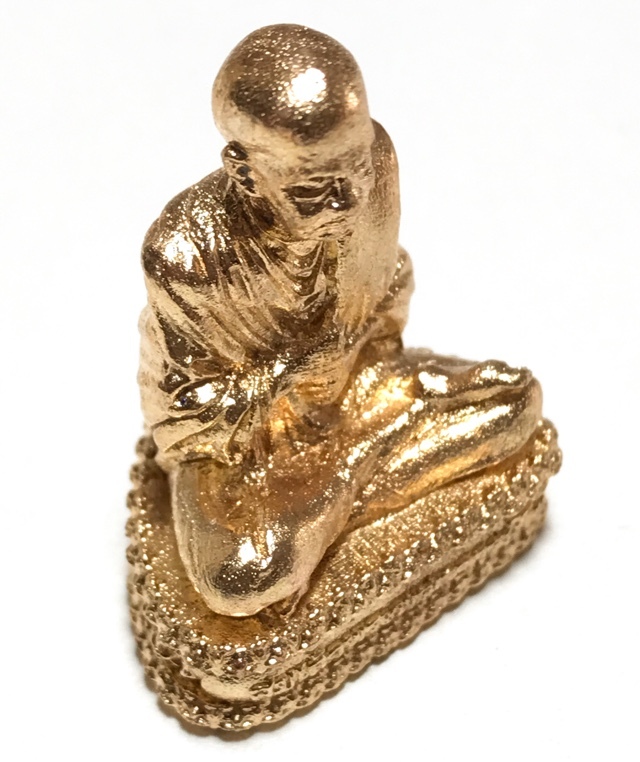 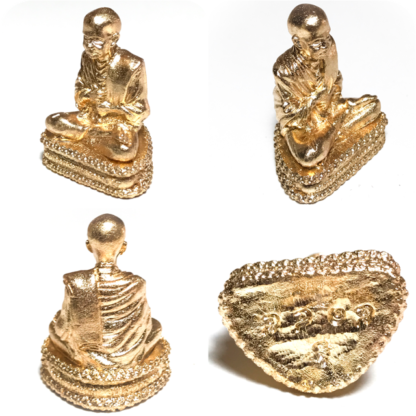 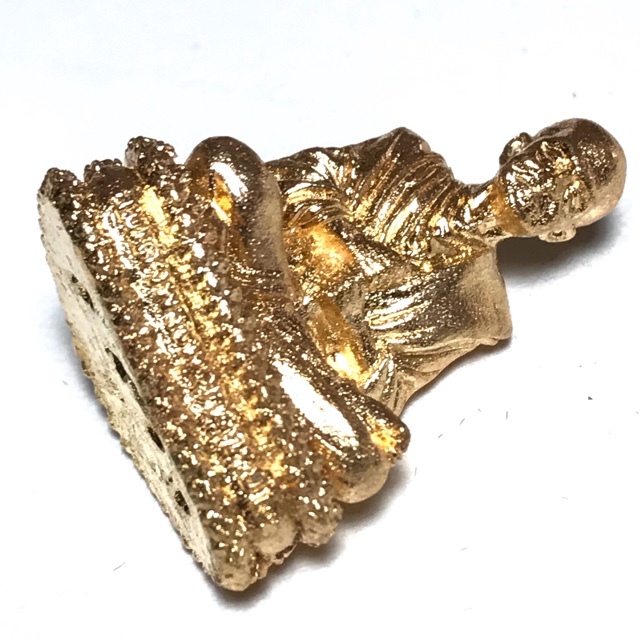 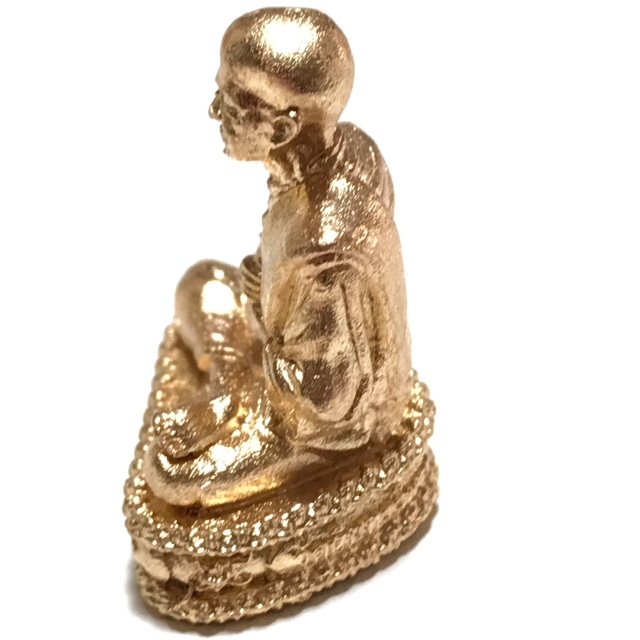 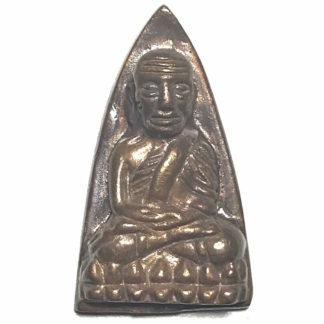 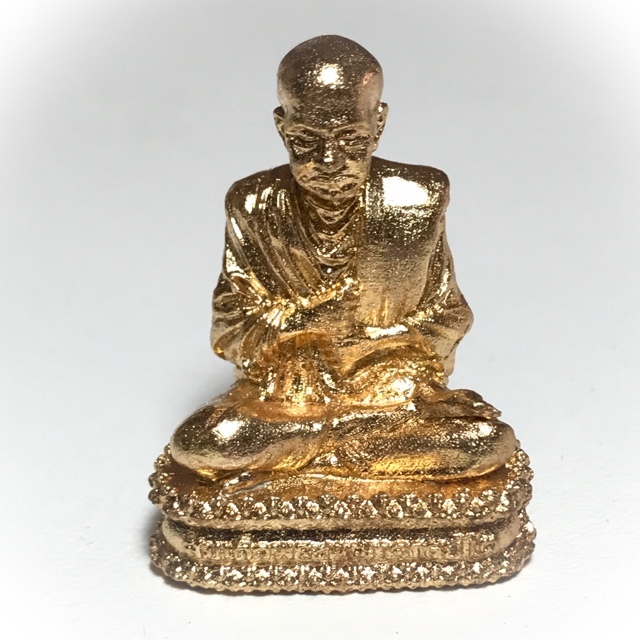 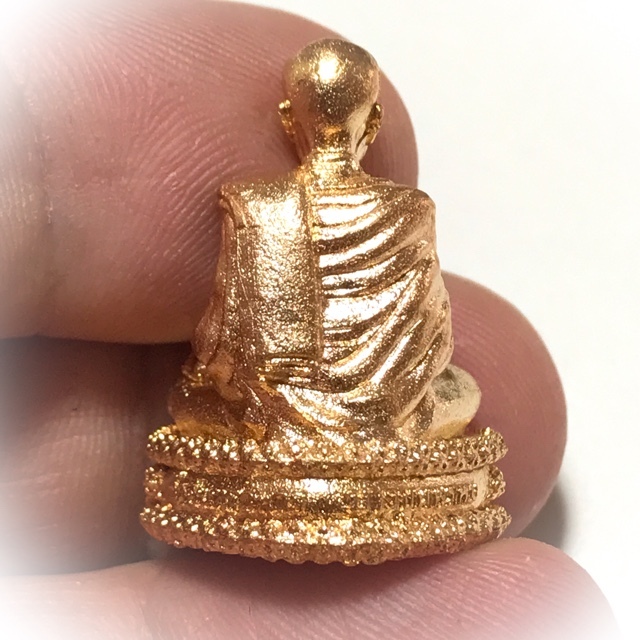 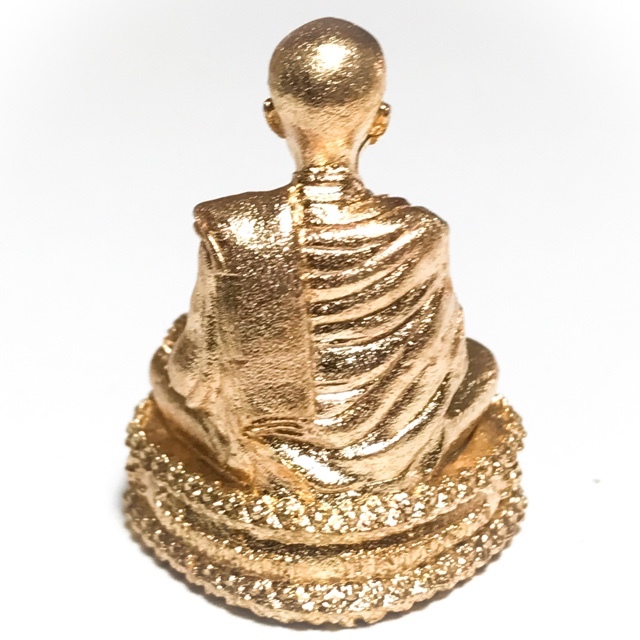 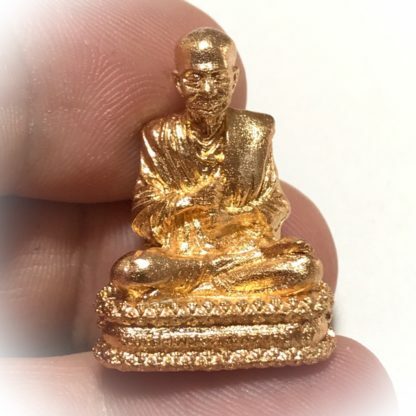 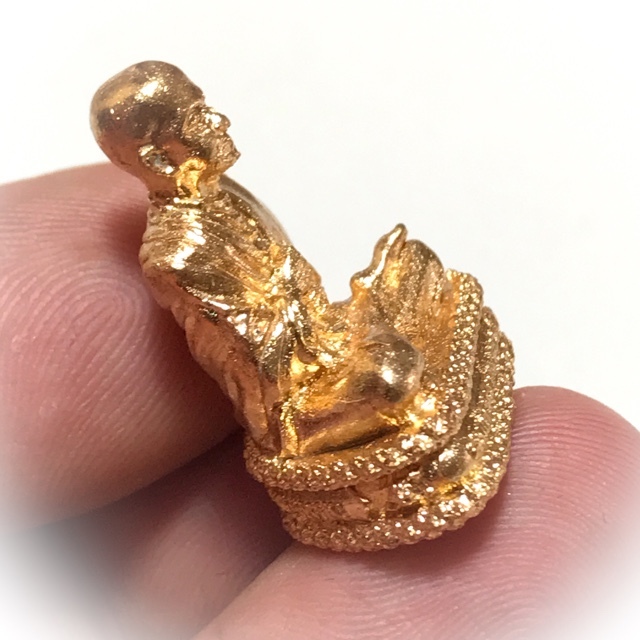 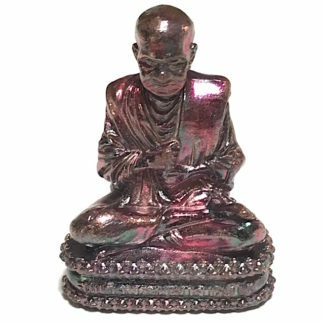 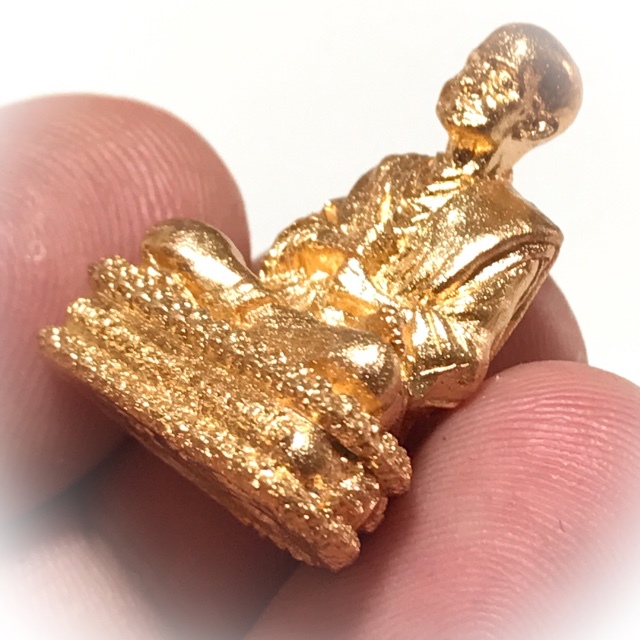 This Loi Ongk statuette is forged in the image of the Great Somdej Toh Promrangsri of Wat Rakhang Kositaram, the original maker of the world famous Pra Somdej Benjapakee amulets of Immortal Fame. 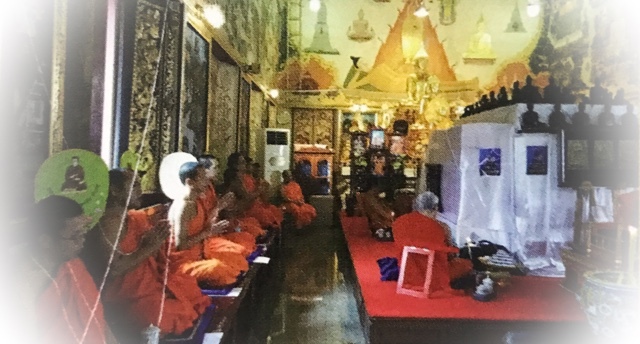 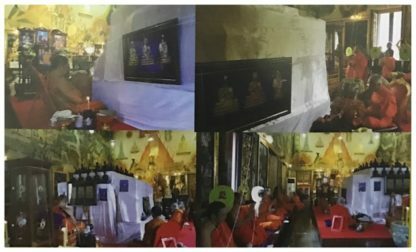 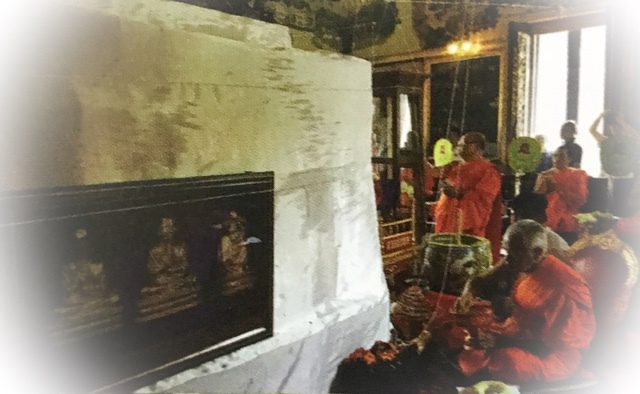 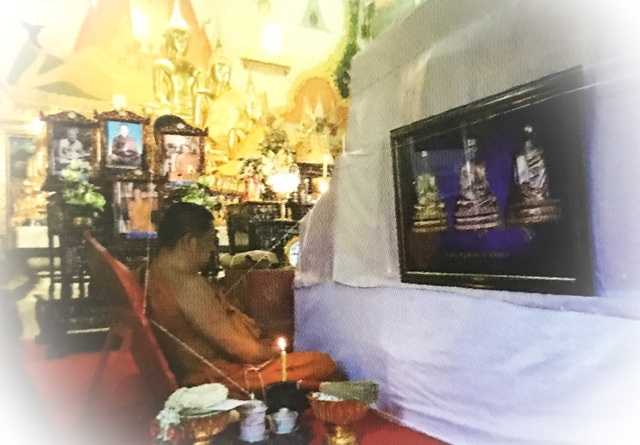 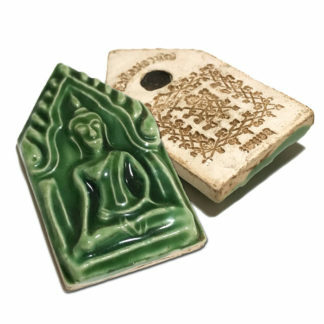 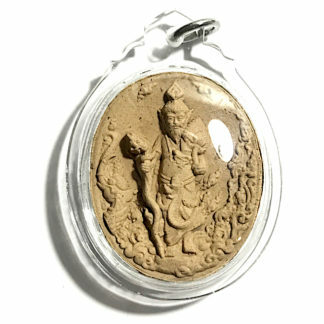 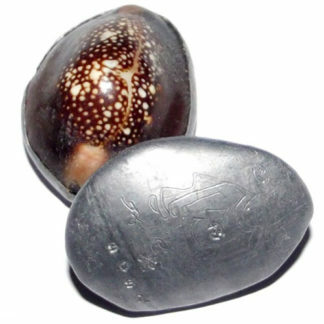 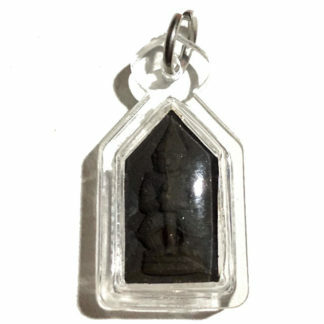 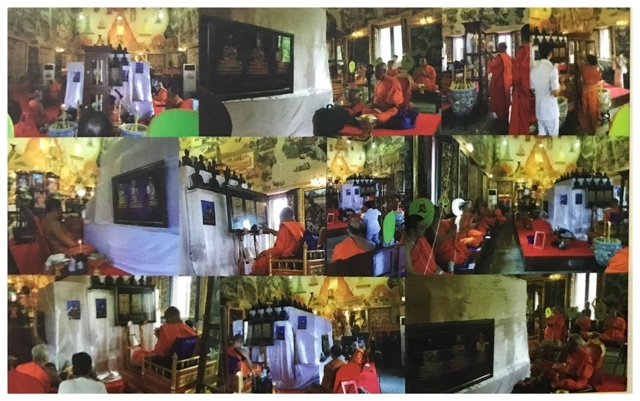 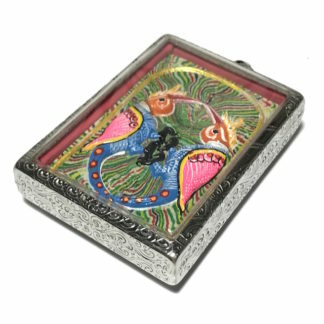 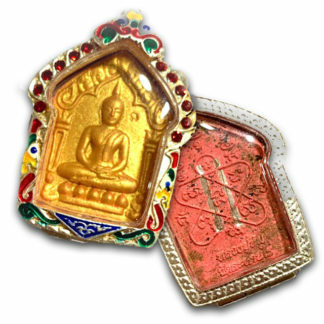 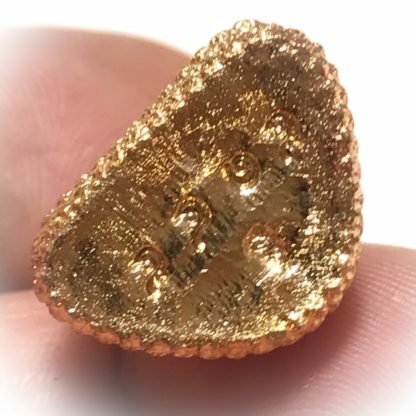 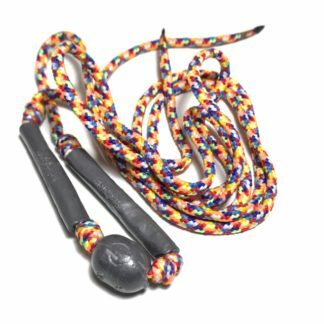 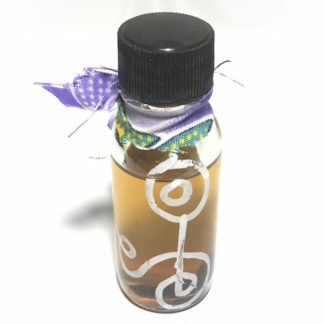 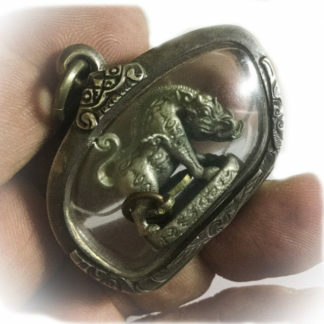 The amulets were blessed in the 'Ruay Ngern Larn' Millionaire Riches edition at Wat Intrawiharn (Wat Bang Khun Prohm) temple, in Bangkok. 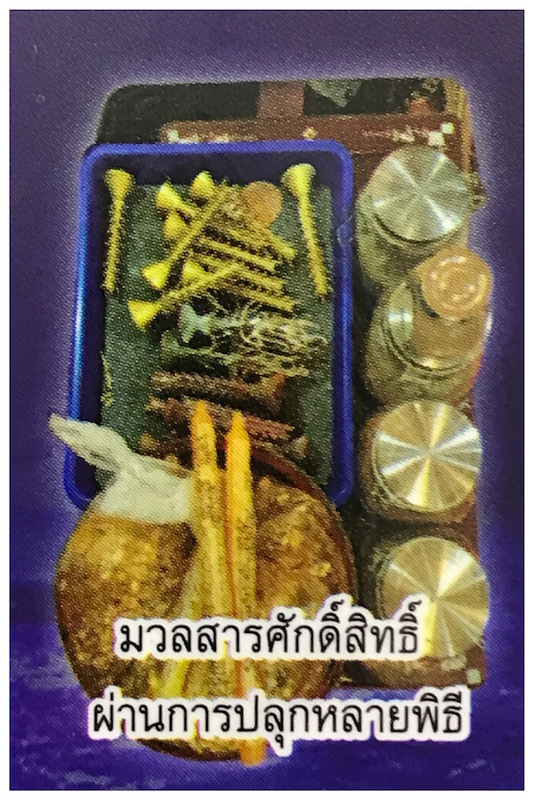 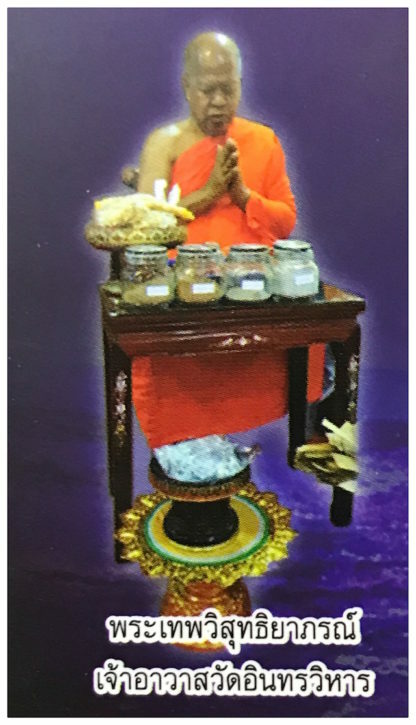 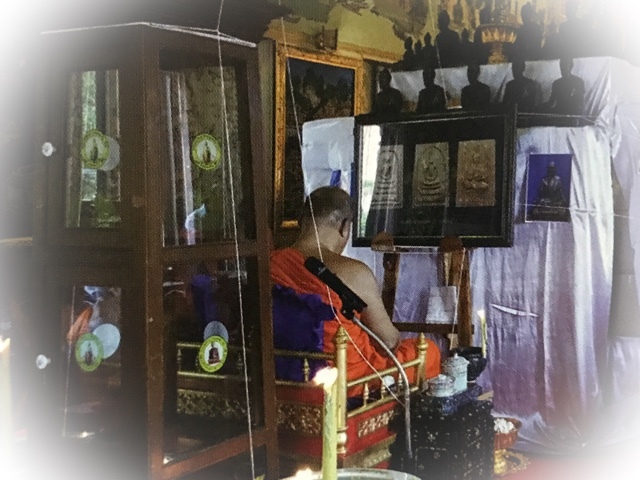 These statuettes, and a range of other special Pra Somdej amulets, were Blessed in the Ruay Ngern Larn edition, released at Wat Bang Khun Prohm in 2560 BE,. 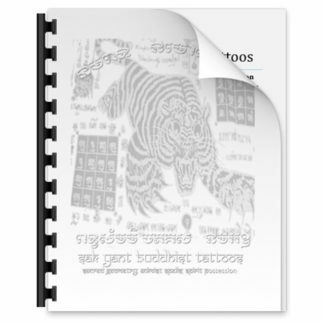 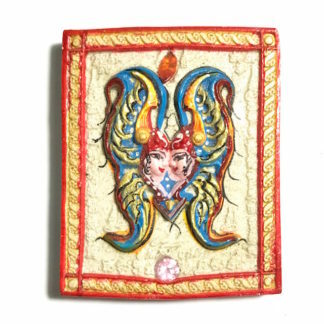 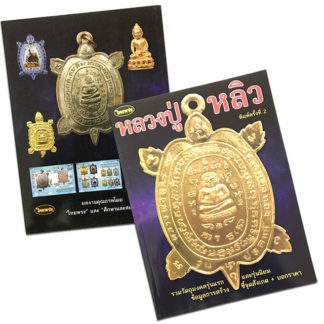 The edition features a range of Classic Pra Somdej amulets, some beautiful Roop Lor Loi Ong Statuettes with the Roop Muean Somdej Pra Puttajarn Toh Promrangsi of Wat Rakhang Kositaram in various sacred metals, as well as some large Bucha Statues of Somdej Toh for altar worship.